We help you kick off your lease return preparations by mailing an information package. Inside, you’ll find our Lease Return Guide, the First Class Condition Card and other valuable offers and information. 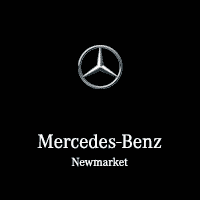 Mercedes-Benz will contact you to set up a no-charge 3rd party pre-inspection. Flexible and convenient, it can take place at your home, office or even your local dealership, at a time that works for you. This inspection will help you avoid any surprises when you’re ready to return your vehicle and give you plenty of time to make any required repairs, if needed. Remember – you won’t be able to make any repairs once you return the vehicle to the dealership. If any issues come up from your pre-inspection, we’re here to help. Just contact your dealer to review your pre-inspection report. They’ll help you understand your options for repairs, replacement items and the costs for any excess wear or use. This is also a good time to schedule the return of your vehicle with your dealer. Return your vehicle at your scheduled time to your dealer. You will receive a Vehicle Return Receipt for your records. In most cases you will also be provided with a Vehicle Condition Summary and a Lease-end Statement; however, if a 3rd party pre-inspection was not performed on your vehicle or if the condition of your vehicle has changed, another 3rd party inspection may be needed to determine your final excess wear and tear charges. In the event you have not received the Lease-end Statement at the time of return, you’ll receive a lease-end statement in the mail. This statement will detail any charges or fees for damages, kilometer overages or excess wear and tear. Remember that completing your pre-inspection will help identify any chargeable issues early, so you can take any necessary steps to avoid them. Love your Mercedes-Benz? Make it yours by paying it off or financing the purchase price (subject to credit approval). Just contact your dealer or Mercedes-Benz Financial Services at 1-866-202-6969.